Weekend Backpacks is a collaborative ministry between Grace and Boone County High School (BCHS) that seeks to provide non-perishable food to BCHS students who otherwise would not eat over the weekends. Grace collects food donations and monetary donations and delivers them to BCHS, where they are stored and then packed into backpacks for students to take home for the weekend. Contact the office for more information. The Shawl Ministry is a gathering of several Church Women who knit, crochet and converse together in the Parish Hall monthly. Products of this time together (shawls, capes, wraps) are blessed by our Priest-In-Charge and donated to shut-ins in nursing homes, people in hospitals, and others who need a warm embrace. ﻿Contact t﻿he office for more information. 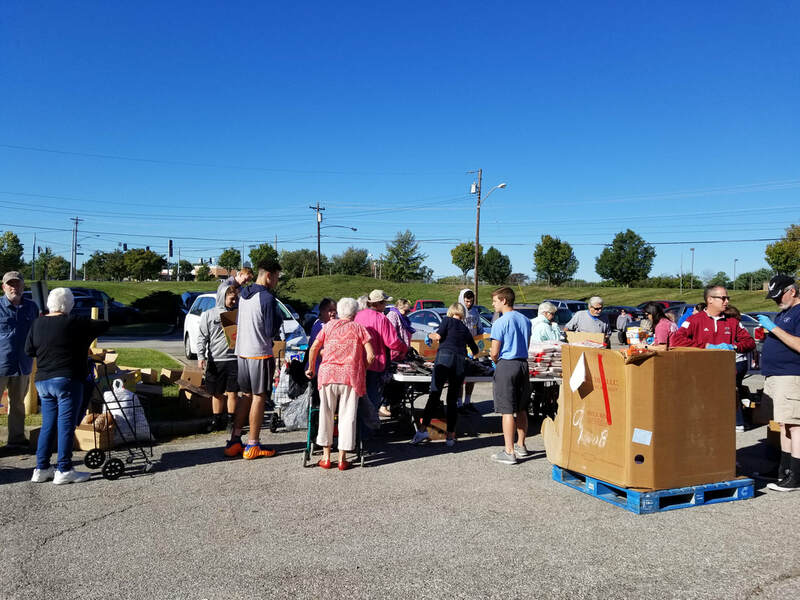 Several times per year, Grace Episcopal Church hosts the Mobile Food Truck, which distributes 10,000 pounds of food to 200 families (50 pounds per family). The Mobile Food Truck is operated by the Free Store Food Bank. Contact the office for more information. Keep checking here for our next Mobile Food Pantry date. Grace Episcopal Church collects non-perishable food for donation to the food pantry at St. Paul's Episcopal Church in Newport. Feeding over 120 elementary school children and their families every week. Grace houses the pantry in the Undercroft. And applies Bible verse stickers on lunch bags monthly. Groups meet in our Parish Hall at various times and days. Al-Anon meets on Tuesday at 6:30pm; NKy Young People's AA meets on Wednesday at 7pm; AA meets on Monday, Wednesday, and Friday at 6am, on Friday at 8pm, and on Saturday 7:30am. Contact the office for more information. 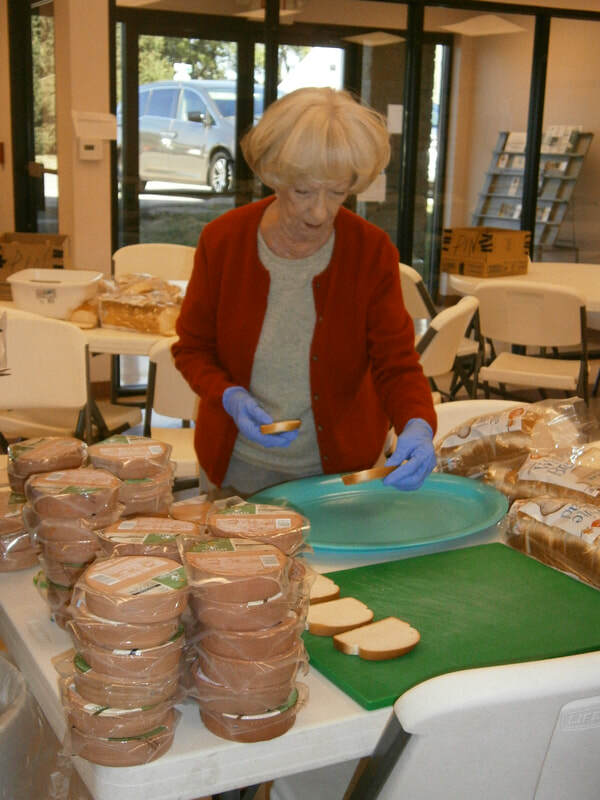 On the first Sunday of the month we donate bologna, pickle-loaf and other sandwich meats to PiN Ministry, who feed homeless people in Northern Kentucky. We also collect tents, sleeping bags, sweaters, coats and clothing for PiN to give to those who need. This outreach program supports the backfield workers at Turfway Race Track with work gloves and essential clothing needs.